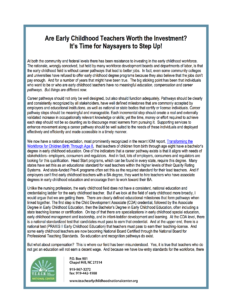 Are Early Childhood Teachers Worth the Investment? It’s Time for Naysayers to Step Up! At both the community and federal levels there has been resistance to investing in the early childhood workforce. The rationale, wrongly conceived, but held by many workforce development boards and departments of labor, is that the early childhood field is without career pathways that lead to better jobs. In fact, even some community colleges and universities have refused to offer early childhood degree programs because they also believe that the jobs don’t pay enough. And for a number of years that might have been true. The big sticking point has been that individuals who want to be or who are early childhood teachers have no meaningful education, compensation and career pathways. But things are different now. Career pathways should not only be well designed, but also should function adequately. Pathways should be clearly and consistently recognized by all stakeholders, have well defined milestones that are commonly accepted by employers and educational institutions, as well as national or state bodies that certify or license individuals. Career pathway steps should be meaningful and manageable. Each incremental step should create a real and externally validated increase in occupationally relevant knowledge or skills; yet the time, money or effort required to achieve each step should not be so daunting as to discourage most learners from pursuing it. Supporting services to enhance movement along a career pathway should be well suited to the needs of these individuals and deployed effectively and efficiently and made accessible in a timely manner. We now have a national expectation, most prominently recognized in the recent IOM report, Transforming the Workforce for Children Birth Through Age 8, that teachers of children from birth through age eight have a bachelor’s degree in early childhood education. One of the indicators that a career pathway exists is that it aligns with needs of stakeholders- employers, consumers and regulators. And in fact, lots of employers, consumers and regulators are looking for this qualification. Head Start programs, which can be found in every state, require this degree. Many states have set this as an educational standard for lead teachers within the higher levels of their Quality Rating Systems. And state-funded Pre-K programs often set this as the required standard for their lead teachers. And if employers can’t find early childhood teachers with a BA degree, they want to hire teachers who have associate degrees in early childhood education and encourage them to work toward their BA. Unlike the nursing profession, the early childhood field does not have a consistent, national education and credentialing ladder for the early childhood teacher. But if we look at the field of early childhood more broadly, I would argue that we are getting there. There are clearly defined educational milestones that form pathways when linked together. The first step is the Child Development Associate (CDA) credential, followed by the Associate Degree in Early Childhood Education, then the Bachelor’s Degree in Early Childhood Education, often including a state teaching license or certification. On top of that there are specializations in early childhood special education, early childhood management and leadership, and in infant-toddler development and learning. At the CDA level, there is a national standardized test that candidates must pass to earn that credential. And at the upper end, there is a national test (PRAXIS II Early Childhood Education) that teachers must pass to earn their teaching-license. And some early childhood teachers are now becoming National Board Certified through the National Board for Professional Teaching Standards. So education and recognition pathways do exist. But what about compensation? This is where our field has been misunderstood. Yes, it is true that teachers who do not get an education will not earn a decent wage. And because we have low entry standards for the workforce, there are many in our field who come in and remain without formal education. But for those who get an education, there are real career pathways...both within the teaching profession and beyond. First, as a field, teachers who have more advanced credentials and/or degrees earn more, in general. Second, there is role wage mobility. Even within some of our worst paying programs, there is often a wage, education and role ladder that allows teachers to move from assistant teachers, to teachers, to lead teachers within the same work places or across a single corporate or organizational setting. There is a very real difference in teacher pay by type of program setting. Early childhood teachers who work in child care settings in general make less than Head Start teachers, who generally make less than early childhood teachers who work in public settings like public schools. And this setting-ladder is also mirrored by an auspice-ladder with for- profit programs on the whole paying teachers less than non-profit programs, who often pay less than those who are operated by public settings. And there are also pay differentials related to the type of classrooms involved; teachers who work with three and four year olds typically make more than those who work with infants and toddlers. Ideally all teaching jobs would pay well, but inevitably there will be some variation. We know that not all nursing jobs pay the same. Settings, auspice and role matter in all professions. And teachers in our field have been figuring this out for a long time. Someone who wants to make a better salary as an early childhood teacher knows that they may need to change employers to achieve that goal. And if an early childhood teacher wants to earn even more, she may choose to become a center or site director, or become a technical assistance specialist working to help other teachers improve their practice, or become a regulator. This explains the high level of site-specific turnover we have in the field. But it does not mean we do not have a career pathway. In fact, what we are seeing is that when teachers earn degrees in early childhood education they stay in the field-at-large. Some recent studies provide us some evidence of this. The report, Number and Characteristics of Early Care and Education (ECE) Teachers and Caregivers, found that teachers have a median of 10 years in ECE, but only 3.6 years in their current setting. In addition, a more recent study of the ECE teaching workforce in North Carolina found that teachers had 11.5 years experience. This is a state that has been investing in the education of their workforce through programs like T.E.A.C.H. Early Childhood® scholarships and Child Care WAGE$ salary supplements and requiring early childhood degrees in both their state-funding pre-k and rated licensing system. Hence, there has been a steady increase in teacher’s longevity in the profession over time. In fact the median years in the field has almost doubled in the last 12 years. The basic reality of a career pathway is that the opportunity begins with education. Hence, we must call on our community colleges and universities to step up to build strong, accessible, articulated higher education programs for our field. And we must make the case to our workforce development boards and departments of labor that with this foundational education there actually are good jobs in the early childhood field, and that this pathway is worth the investment. We have to do this now, as our field requires the funding and support to get this needed education, while we continue to wait for our nation to finally invest enough in early childhood to ensure all educated early childhood teachers earn enough to stay in the classroom with the children that they love, doing the work that is so fundamental to our children’s future, and ultimately to our nation’s future as well. 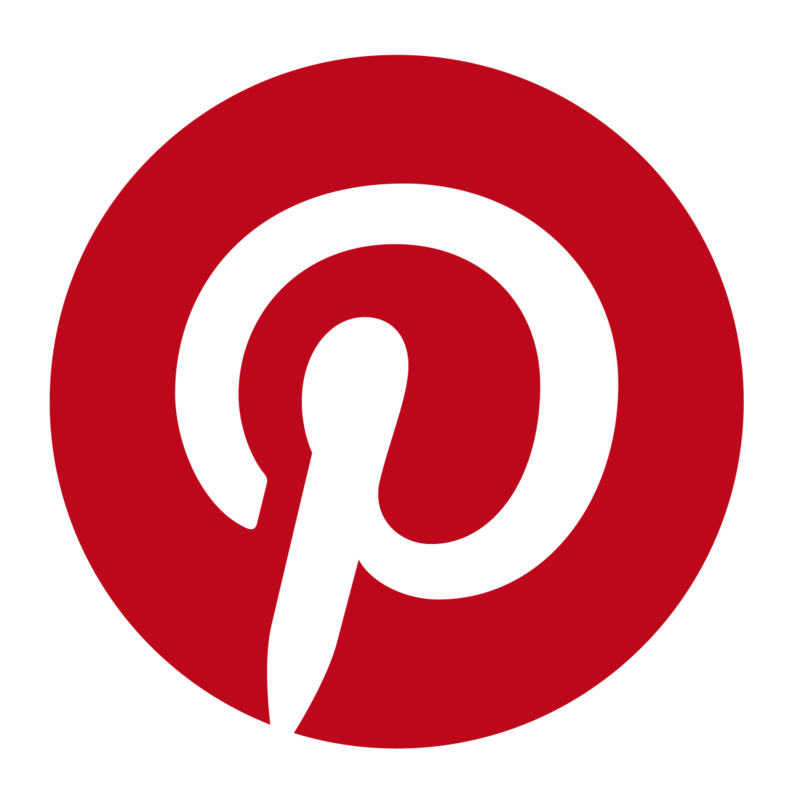 This entry was posted in Blog on March 4, 2016 by Alex Dias.